Promotional Budget Marble Monthly Planner: A budget-friendly way to promote your business. Contents include: 32 pages with entire month shown on a (2) page spread and famous quotes on each page, holiday dates, phone numbers, advance planning areas, metric conversion chart, time zone/area code chart, car service record, personal ID/emergency contact, medical, state capitals, area code map and useful toll free #'s with web addresses to hotels, airlines and credit cards. 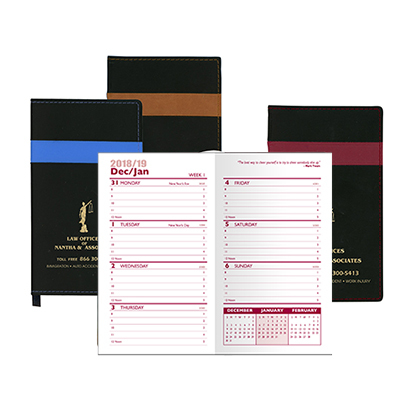 Product size: 6" H x 3 1/2" W.
Planner is standard in 1-color (as shown in image). Imprint colors of gold, silver or white only. 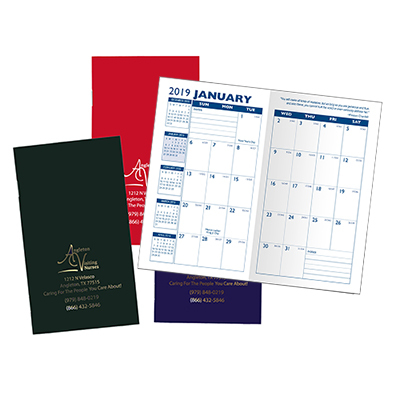 Looking for a new monthly planner for your company? We have for you this promotional Budget Marble Monthly Planner. It has an attractive cover design with a marbled effect. 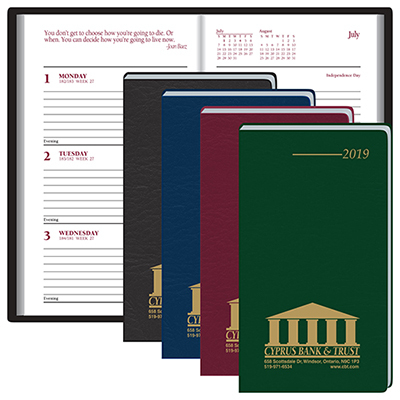 This planner contains quotes by famous personalities and list of public holidays. Hand it out to your employees or customers and help them keep a tab on their appointments. Order these planners now! "Great color and and they are exactly as expected. " "They look good and my logo stood out against the dark background." 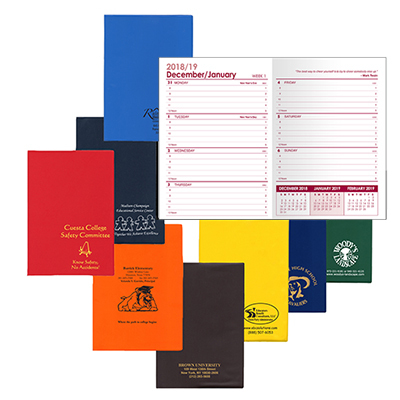 "We were looking for a quality planner that will help our customers get organized while giving us valuable visibility. I am glad I ordered this Budget Marble 2013 Monthly Planner. " A calendar that gives more than mere dates!